Cleaning carpets makes up for a large portion of our daily routine – indeed, one could say it comprises the bulk of our business. Yet in our quest to service each and every customer, our services extend far beyond traditional carpet cleaning. Our Corpus Christi water extraction services are an example of us going above and beyond: we know that water can damage a household in a variety of ways and we aim to provide assistance with any and all forms of water damage control. Before delving deeper into our company's water extraction routine, let's talk about the most common causes of flooding and what they mean for home owners. Most often, the flooding we're called to address involves a home's water-drainage system: pipes, toilets and so on: a burst bathroom pipe is a common sight for us, as is an overflowing toilet. Here, it also pays to explain that not all water that can flood a home is equally safe. In general, we group water in three categories based on cleanliness: the first is safe for people and pets, the second holds potential exposure risks and the third is a true hazard that needs to be dealt with accordingly. Our approach in your home will differ based on the source of the flooding water: in cases of bacteria-infested or otherwise dangerous water, we might need to alter our approach significantly to guarantee the health of everyone involved. Every Corpus Christi water extraction job we do starts by finding the source of the flood – after all, removing flooding water won't do much good if the home is being re-flooded. Our technicians have a decent amount of plumbing experience and are able to patch most causes of flooding up by themselves – in certain cases, however, we might need to bring outside help to stop the flood before getting to work. The same holds true for floods with dirty water, where we'll need to be extra cautious every step of the way. Once the source of the flood has been closed off, our technicians are free to deal with the accumulation of water that's troubling your home. We opt to forgo the gathering of water with buckets in favor of using a high-powered industrial pump that extracts every last drop of moisture into a safe container and lets us transport the water as-needed. ﻿To top things off, we'll use our professional dehumidifiers to remove every last bit of moisture from the air and your surfaces. Even if it seems like a surface is dry, it could still be harboring no small amount of moisture that could pave the way for mold, especially when talking materials like wood or fabric. After the dehumidifiers are done, you'll be faced with a dry environment free of any residual moisture, although our job probably won't be over yet. We wouldn't be very true to the Corpus Christi Carpet Cleaning Pros name if we didn't offer assistance with the aftermath of an incident. Dealing with immediate issues is great, but what happens next? Too often, home owners are left to fend for themselves as they count the costs and look for ways to bring their lives back in order. 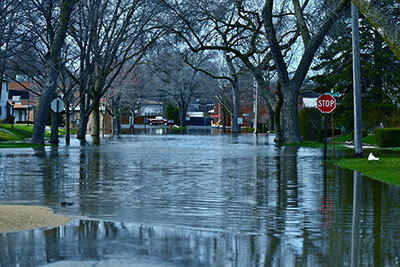 We can help: our company can put you back on track after a difficult incident like a flood in every way that counts. We'll offer to evaluate the damage done, count your losses, list remaining health hazards and provide any other assistance you could need. Make no mistake about it: a case of home flooding can set you back in more ways than you'd care to admit. 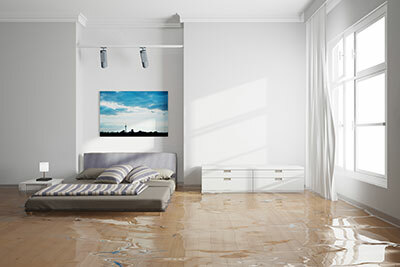 The costs of restoring your home after a flood, especially one that involves health-hazardous water, can quickly rack up and drill a hole in your savings. It's worse when you don't know the right people to get in business with: this is another way for us to help you, as a good recommendation will speed things up and ensure you aren't swindled during a difficult time. Working with experienced professionals who care for their customers is a great way to make your life easier after a disaster – in line with this, our restorative services are affordable across the board and make for a great headache-removing investment. If you don't feel like dealing with what's happened to your home at all, you're free to hand us the keys and go for an impromptu vacation – we'll catalogue everything and only check back with you when we need your green light for the next step.